began in 1991, without a computer, or even thinking about whatever the internet was. We wanted to celebrate the first Christmas in our new home with lots of decorations. That’s when we discovered the little, ceramic lit villages. Shopping to choose which buildings should represent our first holiday in our own home, we stumbled upon the porcelain villages of Department 56. Eureka - our choice was made. Department 56, affectionately known as D56, had two series: the ceramic Snow Village, and the porcelain Heritage Village. The smaller porcelain buildings caught our attention with the detail, charm and warmth, that evoked that old-fashioned Christmas feel that we wanted. Heritage was unique in that it was made up of many sub-categories. In 1984, twelve years after the introduction of Snow Village, Heritage started with the Dickens Village. In subsequent years, D56 unveiled the New England Village, Alpine Village, Christmas in the City, North Pole and Disney - also under the Heritage Village banner. By 1991, when we began looking, D56 was in full bloom, and it was the “Golden Age” of village collecting. Deeper and deeper, as the all-to-familiar story goes, we became entrapped in the porcelain addiction. We were adding a couple of buildings each year, planning trips around D56 shopping or events, and even starting a club with other addicts (The 56 Club in New Hampshire). For almost 20 years we endured this passion, that is only understood by those that share it. Fast forward to 2015. With recovery progressing, and having been instructed to find a “hobby,” I entered my styrofoam jungle and resurrected the dreams for my most grandiose display ever. I finished the plans about January. So much for that year. The loss of publications hit me the hardest. There was a point where I received well over a dozen. Now, all that’s left is Village D-Lights and company catalogs. (Fortunately they are still good quality publications trying to fill the void.) Finding web sites that are current, is a daunting task. Nothing dies on the internet. It is so frustrating to waste time, only to find out the last entry was 5 or 10 years ago. There is a lot on social media, but it’s just not the same to me. As the saying goes, “better to light a single candle than curse the darkness.” Since we couldn’t find a site we liked, eventually we proved that brain cells DO die, and had the epiphany “we can make our OWN website.” After all, three-year-olds can do it. OK, I did say brain cells had died. Stumbling along for a bit, we managed to get a couple of pages on-line for our official start on May 20, 2017. We’re here now, and with a little help we’ll be around for the long haul. 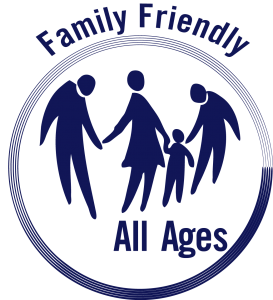 We pledge our efforts to make a family friendly site, with fun for grand-kids to grand parents. We strive to provide “Inspiration, Information, and Fun.” This is a safe, non-commercial site. We get no funding for any of this. Even our “Links” page is unique. The links are not sponsors but people, clubs, and companies that we trust. 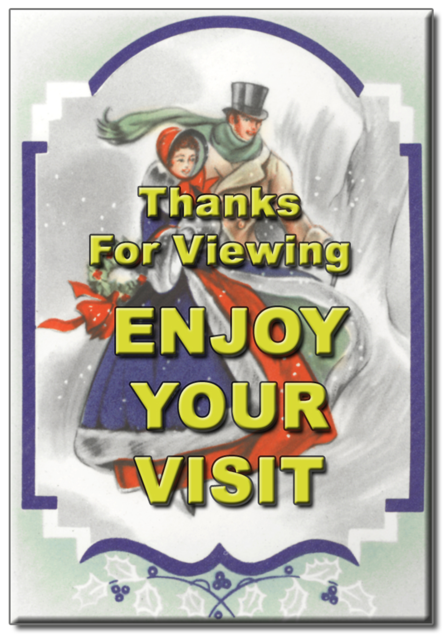 We will do our best to give you reasons to constantly check here to see what’s new, have some fun, trust what you find, watch some videos, see what’s going on with collecting around the world, and especially enjoy the tremendous talents of David and Linda Spears, and Larry Treadwell. We can’t thank them enough for sharing our vision that “villaging” is the greatest, and is alive and well. Please contact us, and let us all know how we’re doing, offer suggestions, and help spread the word. My name is David Spears. 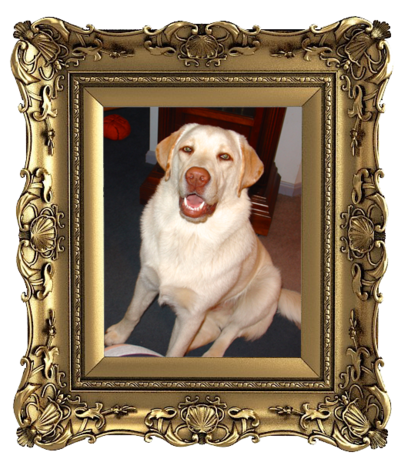 Bill and Kathy invited me to contribute words to their The Village Collector web site. I’m flattered to be asked and will be more than happy to do so on a regular basis. I, and my lovely wife Linda, live in Duluth, MN. Creating new display ideas is our primary interest in working with villages. We are longtime members of our local Village North Collectors Club. We have been making displays, and learning, for twenty years. During that time our village has grown from fourteen to over one hundred and eighty ‘lit houses.’ Most are from Department 56 – a few from Lemax, Coca Cola, you get the idea. We do our own backgrounds, foregrounds, trees, water, waterfalls, tunnels, mountains and other smaller items. I wrote a regular column, ‘Just so you know!’ for Village D-Lights from 2004 to 2016. My words have been on the MN 56 Clubs web site even longer than that. We conducted seminars at the Minnesota Gatherings in 2002 and 2008, Green Bay 2006, Chicago 2012, Connecticut 2013 and California in 2015. I was our club's representative to the National Council of 56 Clubs and later the NCC Region VI Representative for four years. I am also a moderator of a Dept. 56 Group on Yahoo. Our other common interests include flower gardening, photography and country dancing. Linda also enjoys designing and making greeting cards. Input from others is necessary for a column like this to exist. Please feel free to share questions, comments and/or opinions. Contact: spears.duluth@juno.com, 105 E Toledo St., Duluth, MN 55811 – (218) 724-6148. Hello! My name is Larry Treadwell and I hail from sunny, and warm, south Florida. When Bill and Kathy asked me to be a part of this grand adventure I was both humbled and very flattered. I’ve been building villages since the 1990’s and always thought it was a simple process that anyone could do. It just takes time and lots of trial and error. I have a secret for building a display. The secret is I don’t build a single display, I build a display for EACH building. Every building gets the same attention as every other building. As we build displays this holiday season I hope to share these ideas and techniques with you. Over the past nearly 30 years I’ve written articles on HOW TO BUILD things for the Village Landlords and taught some workshops on display building in my local area. I’ve also been fortunate enough to build displays for several local stores selling Department 56 Villages. This experience was really exciting as I had people standing over my shoulder offering all sorts of ideas. It was really a lot of fun. If you have looked at my villages on The Village Collector you will have noticed that when I post photos of the village I write a story to go with the photos. This gimmick came about because I was posting the photos on line and was not there in person to explain what I had done. My story became my way of pointing out the features of my village so that a viewer would not miss out on my techniques. When looking at the villages I build, you will see that I make just about everything, trees, walls, sidewalks, backgrounds, mountains, waterfalls, even some lights and last year I built my first house to be part of the Hauntsville display. I hope you will come along for the ride this year as we go “villaging” together and build two new displays: one for Halloween and then a Dickens Village for Christmas. Please feel free to ask questions, at treadwl@comcast.net. I have no secrets, if I can help I will be only to glad to do so. This is where we greet everyone with an overview of what Lit House Collecting is all about. The opening graphic of Inspiration, Information & Fun is what we try to offer our community. Notice that "Inspiration" is first and larger. At the bottom of the page is where we tally visitor information. We display that so you can follow, along with us, our progress in reaching collectors all over the world. This is where we share who we are and what we're about. Mainly, this page is to put the rest of the site in perspective, and hopefully, help enhance your experience here. As the name implies, this is where we keep the community aware of what we're doing and what's happening. Check here every time you visit for the "Latest & Greatest." A TVC view/slant on what we hear is going on in the "Lit Village" industry. Sometimes an independent look can see "effects and affects" differently. We'll do our best to pass on to our community the information that comes our way. Hopefully, with a little help and feedback from our community also. "Hear something? Say something!" Let us know anything you feel is news, that you think would be neat to share. "You tell us - we'll tell the world." This is the new home of David and Linda Spears' popular "Just so you know! . . ." articles. For their legion of fans, this is all that needs to be said. If you are new to their writings and musings, it won't take you long to realize what the rest of us appreciate, and rapidly become a fan also. Every collector will finish every visit by saying, "Well, now I know!" This is the new home of one of the most creative and talented village storytellers and builders. Larry has mesmerized fans for years with his famous "Hauntsville" and "A Dickens Christmas." Here you'll find some of his past work as well as this year's stories when they are finished. Get out the hot chocolate, gather the family around and celebrate imagination - village style. A special treat is in store for our community. Larry Treadwell will let us all follow along his amazing journey to this year's "Hauntsville" and "A Dickens Christmas." It's already started, so check it out, and get caught up. You won't want to miss a single episode. My Favorite Page! This is a celebration of our community. A chance to experience the enthusiasm that embraces our pastime and, more importantly, that it extends around the world. We Are Not Alone! When you want a quick look, or want to slowly study details, it's hard to beat a Village Photograph. Here's where you can take your time, get some "Inspiration, Information & Fun," perhaps meet fellow Villagers, or share your passion with the rest of us. Participate and the community improves. Surprisingly, so will you. SHARE. A look back at the "Golden Age" (my opinion) of Lit Village Collecting. Long time collectors can reminisce and test their memories. Newer fans can get a glimpse at how villaging has changed. Knowledge of history can add many levels to the joys of collecting. This page is where we hope to share that with you - and of course - have a little fun along the way. This is a very unique links page. No sponsors, no paid links, and no outdated links. These are our choices that we'd like to share with the community. If you know of any other quality links that you'd like to share, please let us know. We hope to make this page the "Go-To" reference place for villagers to find active clubs, trustworthy dealers and other awesome resources to enhance your villaging experience. 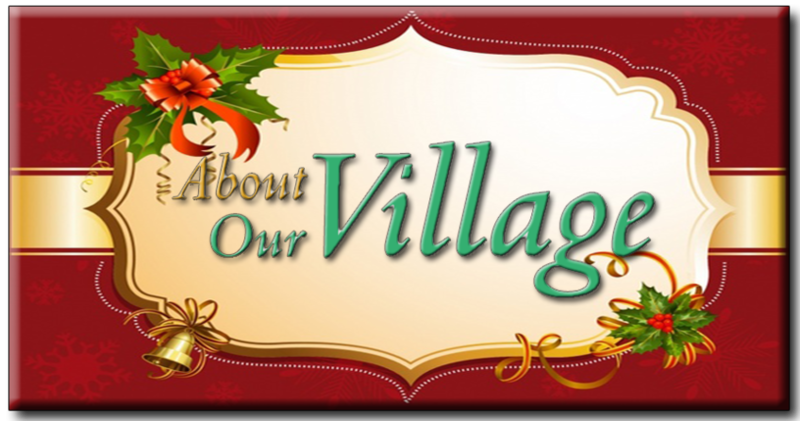 In our "Village Videos Stars of the Week" section, we celebrate all villagers and their passion. However, sometimes we come across a video that makes us go "WOW!" A video that makes you want to watch every minute, maybe even more than once. In an effort to recognize these works of Video/Village Art, we nominate them to our Hall of Fame. We'll then have YOU decide the Best of the Best. Our first induction will take place October, 2017. The second-most popular village holiday is celebrated here. This page will grow over time to do these fans justice. BOO! Ahhh - my favorite season. Here at The Village Collector we try to embrace the spirit of Christmas all year long. Explore this page whenever you need an attitude adjustment or just want a Christmas fix. There's a lot to uncover on this small page. Have fun. This page is for the whole family. It includes an ever-changing plethora of fun items for grand kids to grand parents. We firmly believe collecting has to have fun as well as amazement. Here's your "pause for the cause." Want to learn new things you can do? Be shown how to do them? We plan to grow this page into an awesome resource for all villagers. Keep checking here - big things are on the horizon. I like to keep in a village frame of mind. Seeing a great photo constantly on my computer helps keep a smile on my face. Here are some of my favorites. Maybe they'll work for you also. Our tag line, "It Takes a Village to Make a Village"TM shows how important you are to this community. To make our village better, we need your input. Thoughts, ideas, likes & dislikes, suggestions and/or just general sharing of information, is what we rely on to improve our efforts here. There are "Contact Us" buttons at the bottom of every page, plus other "contact" points throughout the site. All this to re-enforce how much we want you to help shape our community. So, get inspired, share information, and, most importantly - Have Fun. Be sure to bookmark us - www.TheVillageCollector.com - and let your friends know we're here.